Dolphins are used as sophisticated underwater sentinels, guarding ships and harbors like the one here in San Diego. Did the idea of "Navy dolphins" confuse you? Then you should know there is an entire program dedicated to studying and training marine mammals, called the Navy Marine Mammal Program (NMMP). Navy dolphins discovered an unusual torpedo off the coast of San Diego and handlers said it was obvious within minutes that the find was significant. 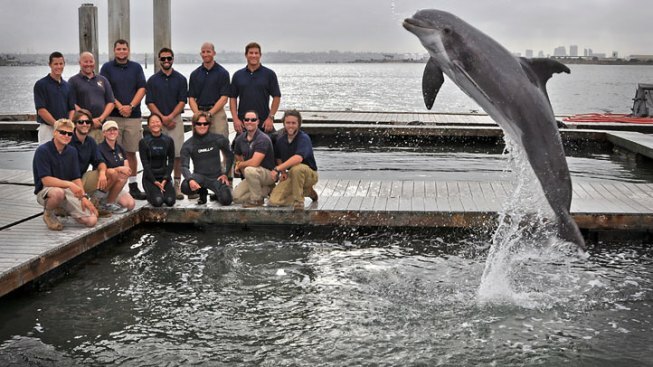 The dolphins were working off the coast of Coronado on mine-hunting training exercises in March when they recovered a 130-year-old Howell torpedo – one of the first self-propelled torpedoes developed and used by the U.S. Navy. “There were only 50 Howell torpedoes made, and we discovered one of the two ever found,” said Braden Duryee, operations supervisor for the SSC Pacific Biosciences Division. Within two weeks, two dolphins marked the object on the sea floor doing their regular daily training exercises. The dolphins, named Ten and Spetz, followed procedure when an object of interest is discovered by surfacing and touching the side of a trailing boat in a certain manner. Navy divers then went in and recovered it. “It was puzzling and exciting,” said Chris Harris, Operations Supervisor for Navy Marine Mammals Program. It’s so old, the divers actually Google'd information to identify it. 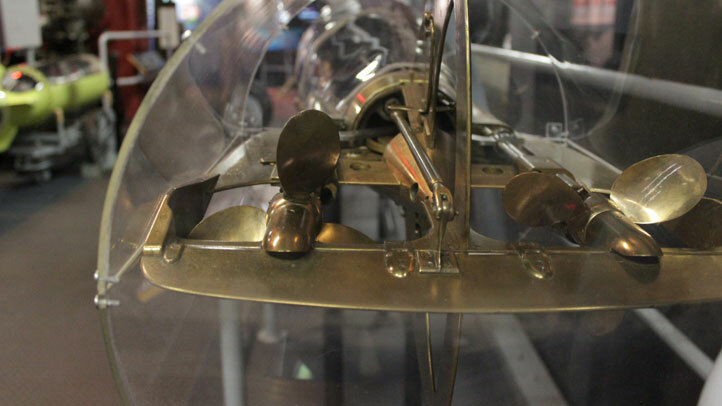 The rare torpedo was 11-feet long and propelled by a flywheel spun before launch. “It’s almost Victorian in its design,” Harris said. It could move at a speed of 25 knots and had a range of 400 yards SSC Pacific experts said. The Naval Undersea Museum houses the only other known Howell torpedo in existence today. The Howell torpedo recovered by SSC Pacific, is stamped “USN No. 24” and is said to be in pristine shape. Duryee said it’s no surprise the dolphins found the item. What’s surprising to him is the torpedo's age. In 1959, Navy scientists studied dolphins in an attempt to design a faster torpedo. That program quickly shifted focus to covert training. Several decades later, the program was declassified. The dolphins are trained to find any types of items that are man-made. in the 50 years MMP has been around, dolphins have discovered and marked a number of unique items in the ocean. In addition to dolphins, the Navy uses sea lions to recover objects like military hardware off the bottom of the ocean.